Gibraltar, or the Rock of Gibraltar as it is more commonly known, is located on the Southern coast of Spain. 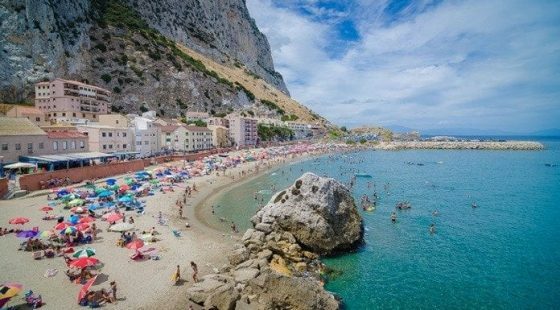 The Rock of Gibraltar is made from 200 million-year-old Jurassic Limestone and is surrounded by the Mediterranean Sea. Crossing the border from Spain into Gibraltar is easy if you have an up to date passport. Tight security procedures are in place here, so upon arrival you will be greeted with passport scanners, metal detectors and officers. If all your paperwork is current, then this is a relatively painless process. The airport runway is located either side of the main street getting into Gibraltar. Traffic is stopped on either side for several minutes before and after a plane landing. 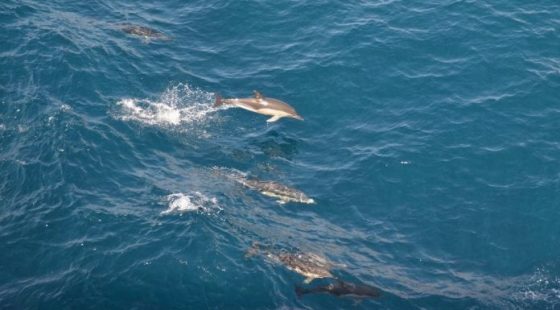 It is a cool thing to see and experience. There are many hotels located near the airport so you don’t need to worry about travelling far when you get off the plane. For example, the O’Callaghan Hotel Gibraltar is located only 1km away from the airport or approximately 10 minutes by taxi, making it a great choice for accommodation during your stay on the island. Sterling is the currency of Gibraltar. Bank of England issued notes and UK coins are accepted and circulate mixed with locally issued notes and coins of the same value in pounds and pence. Some businesses accept euros although exchange rates may not be favourable. Change is normally given in Sterling. UK debit cards and all major credit cards are widely accepted. Note: Notes issued in Scotland or Northern Ireland are not accepted in Gibraltar, and Gibraltar issued notes and coins are not accepted in the UK. 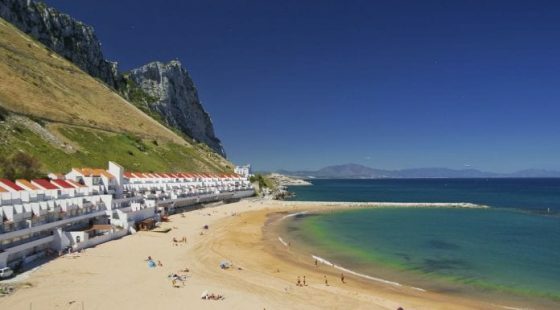 Despite being located on the coast of Spain, The Rock of Gibraltar is owned by the UK. Therefore, the money isn’t the only thing ‘English’ about the country, the spoken language on the island is English too. This meaning that although you have travelled to a foreign country, and used your passport to enter, you will still have comfort in hearing the locals talk and assurance that any issues can be dealt with effectively with no language barriers. Gibraltar is not walkable, despite how small it looks on a map. It is much easier to take taxis, especially if wishing to see the other side of the island. The top of the 426-metre-high Rock of Gibraltar is well worth the journey. 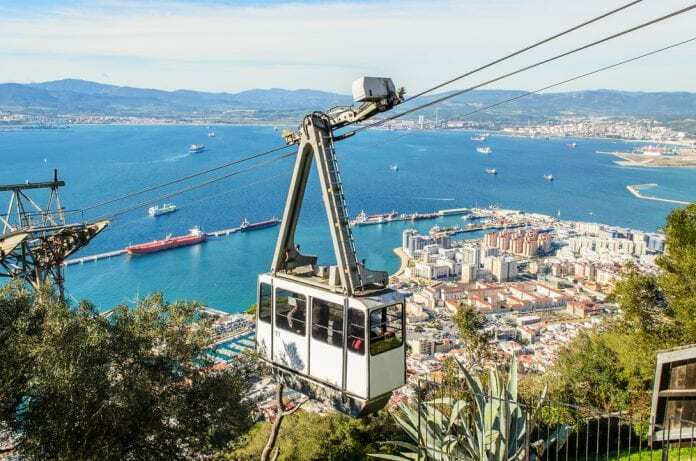 From the top, you will see the African coastline, Spain’s Costa del Sol and a panoramic view of the city far below, the quays, marinas and bays. This journey is best achieved by cable car, and it will only take 6 minutes to get to the top compared to the 4 hour plus challenging walk if you choose to climb the Rock instead. Beware of the local resident monkeys at the top of the Rock. They will be more than happy to pose for a photograph but will also try to pickpocket you as they do so. Although they look cute and furry, they are wild animals and must be treated with caution and respect. A pleasant walk from the Top Station will take you into the Nature Reserve. St. Michael’s Cave which is a 20-minute downhill stroll away. Other sites of interest include the Great Siege Tunnels, the ‘City under Siege’ exhibition and the Moorish Castle. There is also a Café at Top Station where you can take in the spectacular views while having a bite to eat, and a souvenir shop.